Facebook’s chief executive has said he is sympathetic to Apple’s position in its clash with the FBI. The FBI has ordered Apple to disable the security software on a dead murderer’s iPhone but the tech giant has refused. Mark Zuckerberg said he did not believe the authorities should have backdoors to bypass encryption protection. However, a lawyer representing some of the gunman’s victims has backed the federal bureau. Stephen Larson, a former judge, said he intended to file legal paperwork next month telling Apple to co-operate. “They were targeted by terrorists, and they need to know why, how this could happen,” he added. He declined to say how many of the victims he was representing, but did add that he would not be charging them a fee. 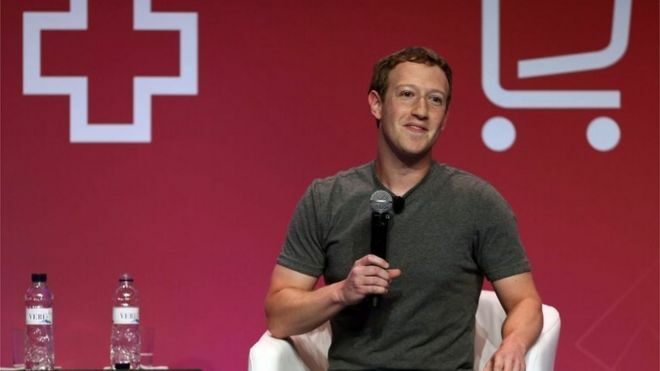 Mr Zuckerberg made his comments at the Mobile World Congress tech show in Barcelona. “I don’t think that requiring back doors to encryption is either going to be an effective thing to increase security or is really the right thing to do,” he said. He added that Facebook was committed to doing all it could to prevent terrorism but his company was in favour of encryption. The social network had previously issued a statement saying that the court order could create a “chilling precedent”. Leaders at Google and Twitter also voiced support for Apple last week. 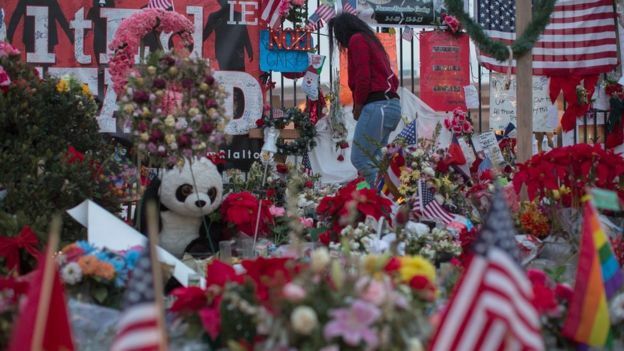 Fourteen people were killed and 22 injured when gunman Syed Rizwan Farook and his wife Tashfeen Malik opened fire in California last December. Apple’s chief executive Tim Cook has described the FBI’s order as “dangerous” and “unprecedented”. He has said the firm would have to build a new operating system in order to comply. “We strongly believe the only way to guarantee that such a powerful tool isn’t abused and doesn’t fall into the wrong hands is to never create it,” the firm stated in a Q&A on the Apple website. In a statement published in Sunday, the FBI Director James Comey said the demand was “about the victims and justice”. “We simply want the chance, with a search warrant, to try to guess the terrorist’s passcode without the phone essentially self-destructing and without it taking a decade to guess correctly,” the FBI director wrote. “That’s it. We don’t want to break anyone’s encryption or set a master key loose on the land. Last week anti-virus creator John McAfee offered to unlock the iPhone for the FBI. “It will take us three weeks,” he told Business Insider, adding that he would eat his shoe on television if his team failed.